One of the most rewarding things about being fully devoted to soprano mouthpieces ( and not distracted by trying to be a jack-of-all-mouthpiece maker ) is that I get to spend a lot of time on very specific aspects of the designs, investigating small adjustments, reshaping chambers and throats, reorienting the proportions of the chamber in a million ways and then play-testing them all to discover just what can be achieved by any and all of these small variances. 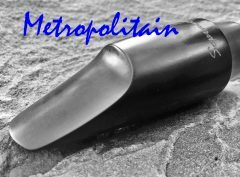 And after a long development of both my Open Sky 2 and Metropolitain mouthpieces, both of which feature a deeper, narrower chamber design than any other soprano mouthpiece being made, I turned my attention to the other end of the spectrum: a wider , rounder chamber that could deliver crisp attack, even tone and precise intonation as well. 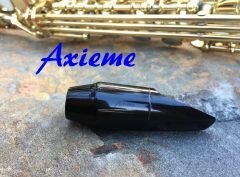 That intonation part has always been the tricky part of so-called “large chamber” mouthpieces. 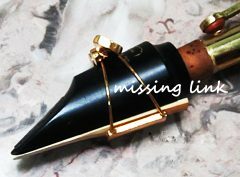 Those pieces have consistently required tremendous effort from players to deliver adequate intonation, often at the expense of an even “voice” across the range of the horn. 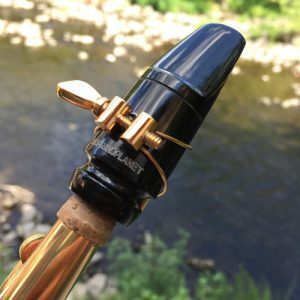 After almost a year of work, and a few performances and recordings with my own prototype S440, I was completely satisfied that this piece was not only ready to debut, but that it actually was a new kind of soprano mouthpiece. I couldn’t find any piece like it ever made. The S440 is a new design that emerged from my research into a different medium/large chamber shape, one that is not a typical “large chamber” but offers the free blowing, big sound and feel with impeccable intonation control. 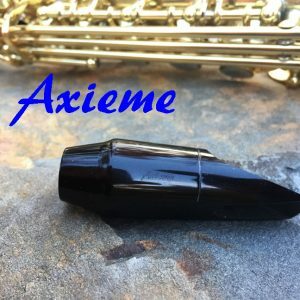 I discovered, through play-testing and trial and error, a new chamber shape and new chamber proportions that reminded me of the amazing mouthpiece of Steve Lacy. 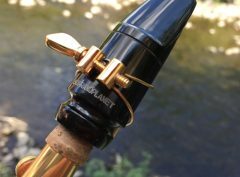 While the big sound and the response are very “Lacy-esque”, this piece is nothing like Steve’s mouthpiece in terms of design, except that the chamber shape design starts where Steve’s piece left off. Like Steve’s mouthpiece, the throat of the S440 is a “race-track” oval shape. But, unlike Lacy’s piece, the throat is a lot larger, giving the S440 a big, free-blowing feeling. The chamber shape, definitely the most important design feature, offers a large chamber feeling with a quick, crisp response and truly amazing intonation, all without the histrionics of voicing “work-arounds” so ubiquitous for large chamber pieces. And, the tone ! 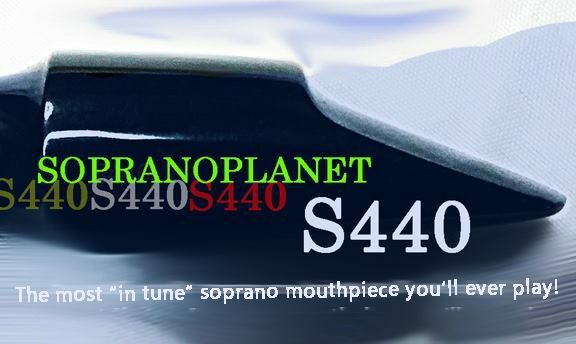 Unlike virtually all modern large chamber soprano pieces, the S440 provides a consistent voice from bottom to top. It sings, in short! It can play dark; it can play brighter; it can whisper; it can roar. 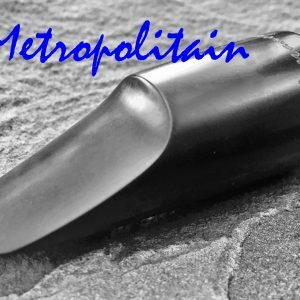 This is a mouthpiece that is going to find a lot of fans. And here is the same mouthpiece played in concert with The Burton Greene Quartet. 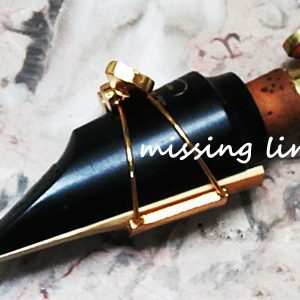 The mix is a live one, but it shows the range of this mouthpiece. Burton Greene on piano, Adam Lane on bass, Tani Tabbal on drums and me on soprano sax. 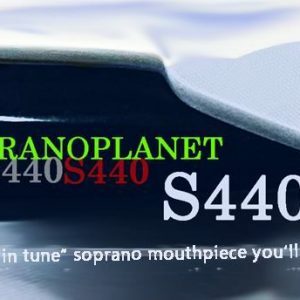 The comments are beginning to arrive from players around the world, about their S440 mouthpiece from SopranoPlanet. “Your mouthpiece arrived today. I had a chance to blow quite a few phrases before theatre time, and now I’m ready for its first gig. It’s utterly amazing! Big, rich, warm and clear sound just the way I like it, a perfect amount of resistance for me, and, just as promised, an unprecedented intonation. Wow! This is my piece from today on. Joe I wanted to tell you I got you mouthpiece yesterday and did not put down my horn. It actually made me enjoy playing the soprano (which is the horn I struggle with most). Thank you very much.